A cruise passenger has been spotted dangerously sitting on cruise ship railings on a recent sailing from the UK. A woman has been spotted sitting on cruise ship railings on the P&O Aurora cruise ship. 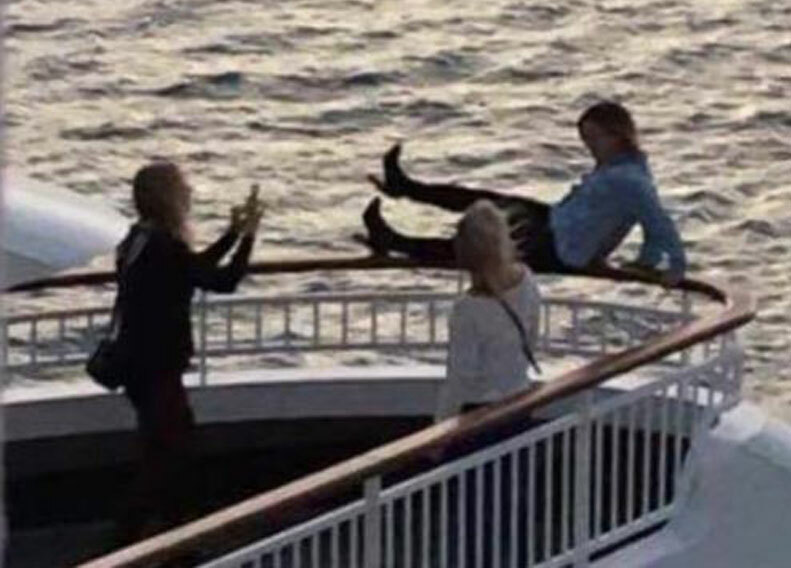 During a recent 2-night cruise out of Southampton, UK a photo was taken onboard the British vessel showing one woman sit and lay on top of the railings with another taking a photo of her and another just standing and watching. The woman is holding on with her hands behind her back with her legs and feet also on the railings. Just one gust of wind or a loss of balance would cause her to fall over to the deck below or even overboard. Nick Corben posted the photo online and many people have already commented on how stupid and dangerous this is. Have you seen these Idiots from Aurora 2 night cruise at the weekend. Should be banned from cruising. Doing something like this is so stupid and should never be done. The woman is very lucky not to have fallen off the railings which are there for a reason. It does seem this happened towards the ship aft onboard P&O Aurora which is a British based cruise ship. The most recent 2-night voyage departed Southampton, UK on October 20th and called at Zeebrugge, Belgium before arriving back at its homeport on October 22nd. 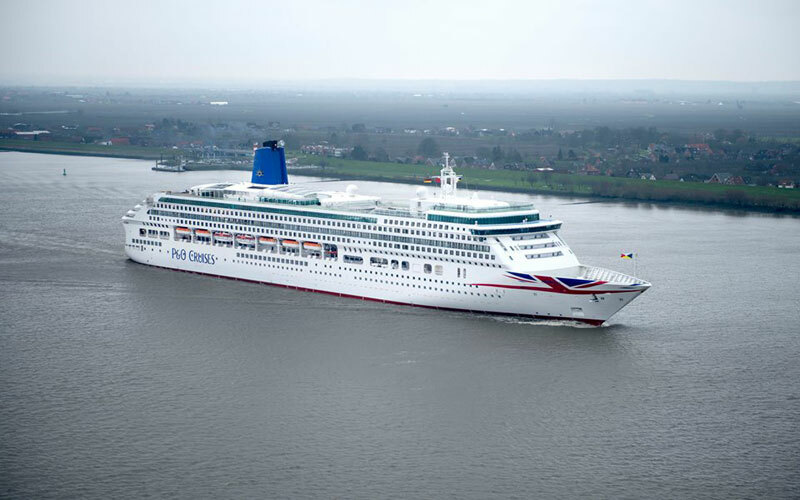 P&O Aurora is a 76,000 gross ton vessel which can carry 1,870 guests at double occupancy. We’ve come across some really stupid passengers over the years and recently a boy was filmed jumping from one deck above into the swimming pool below onboard a Princess cruise ship. In another very risky act, a passenger was caught on film jumping from a cruise ship bow into the water while in port. And another time a boy was filmed climbing on the outside of the ship railings on a Carnival cruise ship while at sea.